I have hugely developed my ‘mindset’ and way of thinking thanks to a few really fantastic books! I get a lot of my ideas from books in addition to people I follow on Twitter. In my opinion, this sort of sharing of good practice is one of the best CPD opportunities available. I am @SteveFoxAST if you want to follow me! Here is a list of some of the books I recommend, not just for teaching and education, but also for general self development and well being (not in a hippy kind of way). If you wonder which to start with, I would highly recommend ‘Mindset, The Lazy Teacher’s Handbook and Engaging Learners‘ as essential reading! Mindset is the most influential book I have ever read. 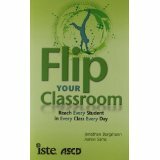 It explores the ‘fixed mindset’ against the ‘growth mindset’ which influences the way we think, act and learn. Many specific examples are given across lots of areas. The education areas speak of developing children’s mindset into a growth mindset by considering praise and feedback in addition to educating them on the different mindsets. 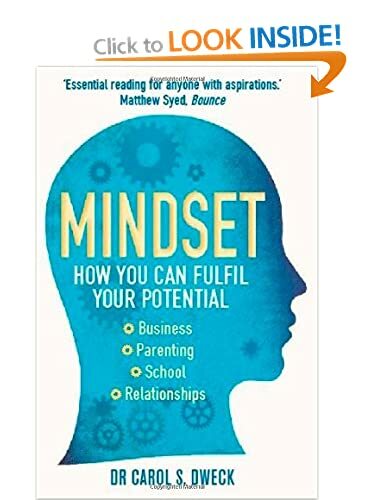 The ideas behind this book let to me developing my own ‘growth mindset’. Notes made on key areas of the book, written as a ‘crib sheet’ to think about when planning/teaching. I gave copies to the senior leadership team before facilitating every year group in the school to have a copy. This came from my strong feelings about the benefits of the book and Carol Dweck’s research. I have completely changed my approach to praise. It is only given to praise the effort, not the outcome. For example, I would appear decidedly unimpressed that a child has completed a whole page of maths questions in a fast time, without having to make mistakes or learn anything new. This has had led to very interesting responses from children when they are seeking praise for something that in reality, they have not had to work very hard on. I implemented the ‘Brainology’ software, designed by Carol Dwek, in my classroom in order to aim to educate my class on how the brain learns. According to my contact at Brainology, I was one of the first schools in UK to use this software with Year 5. A fantastic, up to date book on the currently required ‘buzz terms’ and style of teaching. A superb read with loads of practical ideas and activities to try out. A must buy! Creating ‘flow’ in the classroom. Lots of short, sharp tasks which engage and promote learning. This book is vital is you do not want to burn yourself out whilst still delivering high quality lessons. Give practical advice on tips on how to reduce your work load whilst actually providing better lessons! 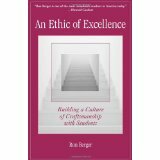 Discusses how to approach teaching like a carpenter/joiner/craftsman would approach their work. Giving real purpose to projects and using high level critique and feedback to produce outstanding end projects. Hugely increasing the expectations I have of the children in my class to produce the best possible results. Giving the children a real purpose to do something, for a reason or a particular person to solve a problem. Focusing on critique and peer feedback to improve learning across all subjects. Exploring the concept that teacher ‘input’ can be recorded and views by children, through ICT, before lessons. This allows lesson time to be spent actually addressing the problem, using the teacher when they get to the hard/stuck parts! Currently trialling ‘flipping’ my maths lessons, recording introductions through Touchcast on the iPad and publishing on my class blog for children to watch before the maths lesson. They can they come in and get straight into the practical tasks. 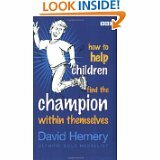 How to help children find the champion within themselves – David Hemery. This book discusses how important adult-child communication is. It gives practical suggestions about how best to ‘talk’ to children and harnessing their creative ‘flames’. A really great little book which is extremely easy, and quick, to read. Across the school, giving children a scale of 1-10 for pain when injured – comparing to other injuries. Flipping conversations around when dealing with difficult subjects such as ‘What advice would you give a friend if they were unhappy at school?’. This was the first book that I read that led me into this genre of literature. Written by Matthew Syed it explores his background that led him to become a world class table tennis player, discussing wether this was ‘natural talent’ or simply being at the right place at the right time with the right coaching. It brings together research from others such as Carol Dweck and Daniel Coyle. Led me on to further reading of more classroom/education specific books. Introduced me to the notion of ’10,000 hours practice’ and that everyone who achieves must have had a lot of practice and quality coaching/teaching. I discuss and explain this notion to children at school as well as during football coaching sessions. 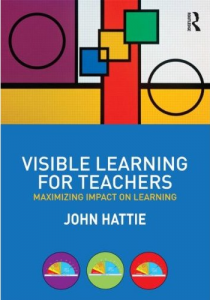 Although many parts of this book discuss and build on previously studied material (such as Mindset), it offers new, practical ideas regarding practicing in the ‘target zone’ so that learning is most effective. It also goes into detail of ‘how the brain works’ in a scientific manner, showing that quality practice actually builds myelin around connections in the brain to make it operate faster. I have discussed this with my class, giving examples, with the aim of helping them to realise that with lots of quality practice, they will improve! Applied the theories to spelling practice, making the children actually think about their spellings by missing letters out etc so that their brain needs to do some work. This helps them to remember them rather than just copying them out. Discussions with my class about learning and how myelin is produced when you practice to help you do things better and faster! The topic explored here relates to the key skills and knowledge that children actually take out of school, years after they have finished it. It introduced the ‘key learning muscle’ idea that children take from good quality teaching and opportunities. This basically suggests that the real learning from children completing a unit of work on ‘Victorians’, which involves researching and team collaboration, is not actually the information about Victorians, but the ability to research a topic and work together as a team to analyse results. I have used this as a base to inform planning to give children the opportunity to exercise their ‘learning muscles’ as frequently as possible. The unit of work around the Masai in geography was planned with this in mind. It involved a lot of group research and collaboration, writing an autocue of information, to provide a travel documentary in front of the green screen. As the title suggests, the book focuses on teaching children to think, offering projects and guidance to achieve this. This book provides open ended investigation and techniques to allow children to develop their thinking skills. Based on feedback from a lesson observation, I have part of the book the focuses on giving children chance to think and correct answers themselves, before jumping in to quickly to correct them. Over the last year I have been developing my lessons to try an ‘facilitate’ learning opportunities, rather than direct them from the front. This book give practical games and activities that encourage children to think. I have use this throughout my teaching career, sometimes as activities to fill small gaps of time, other times as a whole lesson around a theme. This book covers similar areas to ‘The Talent Code’ and ‘Bounce’. It does go into a little more detail regarding learning from practice and working in certain practice zones to achieve ultimate progression. I have primarily used this when coaching the Brumby football teams, giving direct, simple feedback with the aim of improving performance. After being passed this book, along with the resource book, during my NQT year, I have read through this a couple of times now. Every time I flick through them I find new things to try out and use. I have used the section on lesson structure to ‘connect the learning’ and explain what will happen during the lesson as well as telling the children where we will be going next. I use music in the classroom as a tool to relax the class. I use the motivational posters around the classroom and school. I was recommended this book by a friend who is currently training with the Olympic Taekwondo Team. The British biking team also rave about the book. It basically explains how thoughts and actions are linked to parts of the brain. How you can recognise which part of the brain is making decisions so that you can think more clearly, choosing actions and thoughts which you want to choose and feel good about. Currently awaiting details of a course by Steve Peters to develop the use of ‘The Chimp Paradox’ in schools. Recognise in children and myself when they are acting on emotions (their ‘chimp’), using this to help diffuse situations. Help educate children on recognising unwanted thoughts and actions and choosing alternatives. The ‘bible’ for research into what works in schools and what doesn’t. It discusses and lists ‘effect sizes’ of areas such as feedback, homework, teaching assistants etc, providing evidence through meta-studies of how effective they are in the classroom. In all honesty, I found it quite hard to read as a whole. I tended to read the main parts and then focus in on the areas I wanted to develop in my classroom. When trying to improve your teaching practice, or areas for school development, this book is vital to help pinpoint areas which actually have an impact on learning. I have used this book to help me identify key areas which I then developed over the year. These areas became my performance management targets, so that I was actually focusing my attention on areas which have an impact. 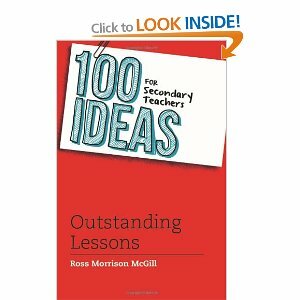 Even though this is titled ‘for secondary teachers’, the majority of the fantastic ideas in this book are completely relevant for primary. This book is jammed full of great practical ideas which will improve your teaching practice. It is easy to read and implement concepts immediately, making it a great book for immediate impact. As I follow the author (@teachertoolkit) on Twitter, I had come across a few of the ideas already, but this hasn’t stopped me tweaking them to make them more effective as well as implementing some of the other ideas. The 5 minute lesson plan is fantastic. There are now different versions of this available online. It really helps teachers to think what is important when planning lessons. Great for developing, or freshening up, your teaching. This book is fantastic. A brilliant, entertaining read which really makes you think about what and why are are teaching. Not only does it make you question your practice, but it also gives you practical ideas as to how to improve and change things. 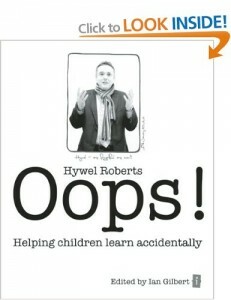 I was fortunate enough to see Hywel Roberts deliver a keynote at the Barnsley outstanding teaching festival. He was equally as entertaining and inspiring as his book. If you get chance to see him, do it! This is without doubt the most entertaining and interesting teaching relating book I have read. I struggled to put it down! I used the ‘island design’ idea for over a term with my literacy group as a stimulus to prompt discuss and writing. They produced some fantastic things based on this. I constantly think of ‘the hook’ for all my lessons now. How can I really ignite and fire up the kids for this lesson. What will make them interested and want to learn? For me, this is a vital game-changer for my lessons. Although this isn’t the first time I have come across the idea of ‘hitting them’ with a great hook, this book makes it relevant and easier to achieve.